Samantha thinks of herself as human, ordinary, and a little too full around the hips—a super cute look for a future chef, if you ask her. And she’s sort of right, except about being ordinary…oh…and human. She also won’t be full around the hips for very long, not with the inevitable metamorphosis coming her way. In her oblivious existence, all she can think about is going to culinary school, away from her uncaring, bordering-on-hateful parents. 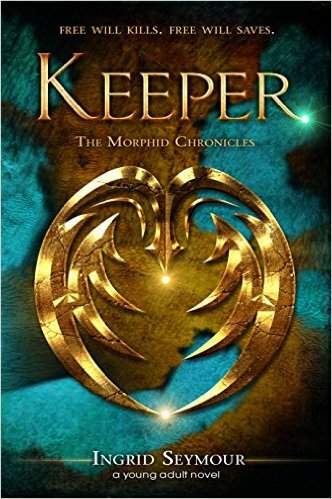 But all that is about to change when Greg—an otherworldly, amazing-looking guy—saves her from an unexpected magical attempt on her life and informs her that he is her Keeper, compelled to protect her even at the cost of his own life. Oh, and by the way, that she isn’t human, after all. The attempts on her life become common place and secrets and threats from a dark, forgotten past reveal themselves and send her life into turmoil. As Samantha tries to come to terms with this new reality, she must rediscover herself and face the possibility of being the key to the survival of a dying race.